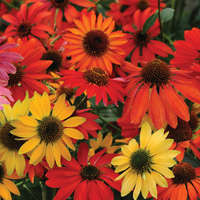 If you love ‘Mercury Rising’ but need something smaller, try ‘Red Elf’. 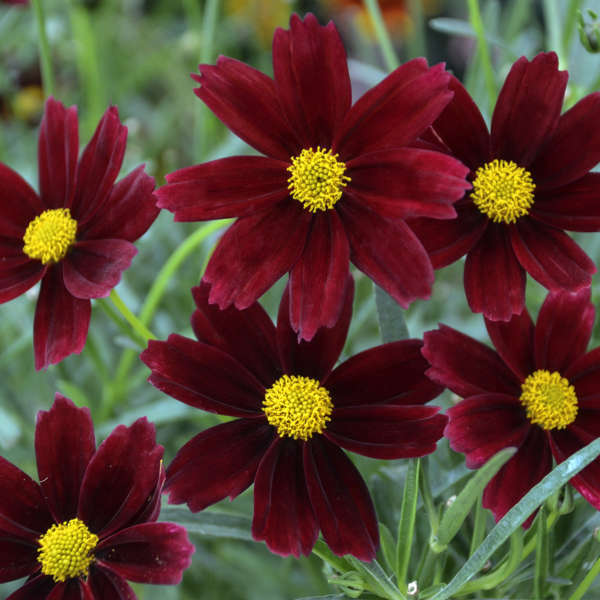 It has very similar deep burgundy red blossoms but on a much smaller plant that only grows about a foot wide. 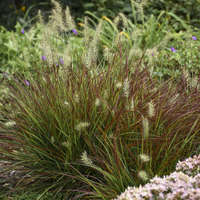 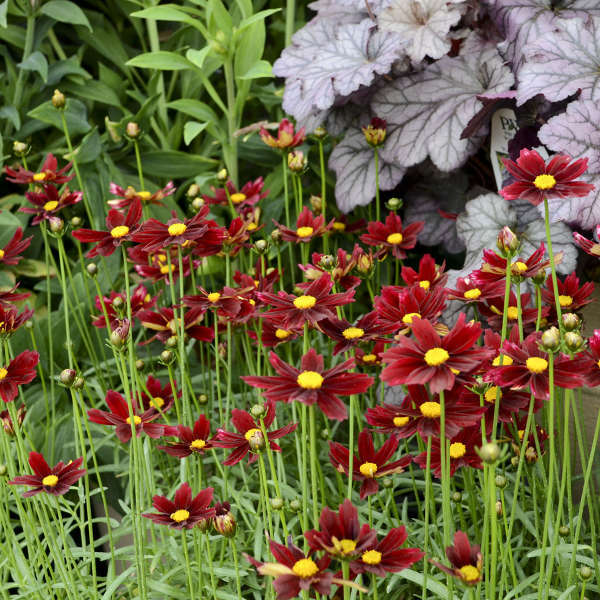 Its smaller bun-shaped habit helps it fit better into combination container plantings or smaller borders where it will provide a rich spot of color for months beginning in early summer. 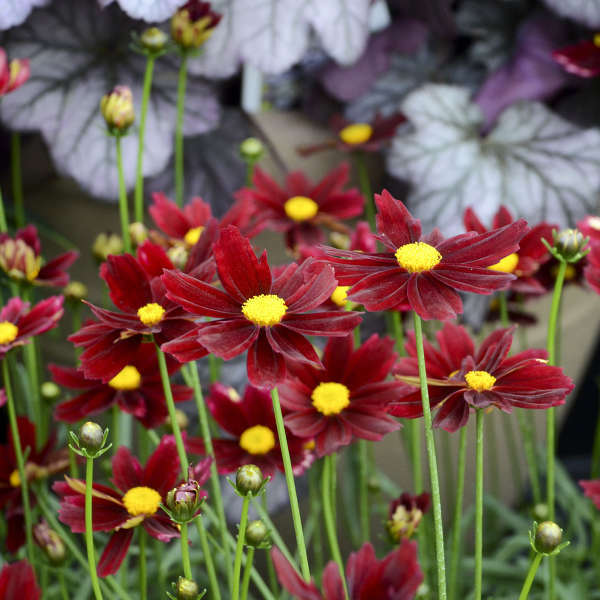 Like ‘Mercury Rising’, its deep red petal tips become frosted with a touch of white during the hottest part of the season, returning to a solid deep red when temperatures moderate. 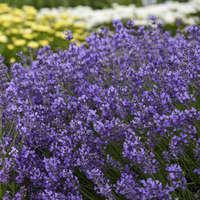 Since the flowers are sterile, they just keep on coming all season long without the need for deadheading. 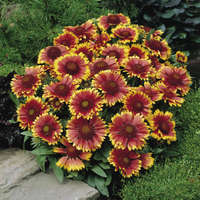 A midseason shearing will keep this plant looking its best all season, though it is highly disease resistant. 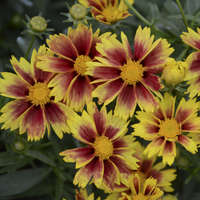 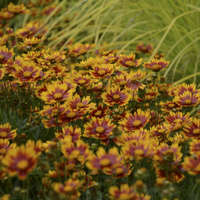 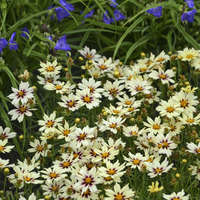 The only Coreopsis of its kind available—don’t miss out!